Because of some major domestic adjustments for my wife and I, I have been impeded from blogging. Nevertheless, I want to complete my series of blog posts from my Old Testament Poetic Books’ class. Since I last uploaded a post on my class, we had three more classes on the last two Thursday’s of April and the first Thursday in May, with the initial Thursday finishing Ecclesiastes and the final two the Songs of Solomon and Lamentations. In covering Ecclesiastes, we treated these issues: title, authorship & date, canonicity, integrity, literary structure, and message. In developing the message of Ecclesiastes, I presented both the negative and positive interpretations of the message. 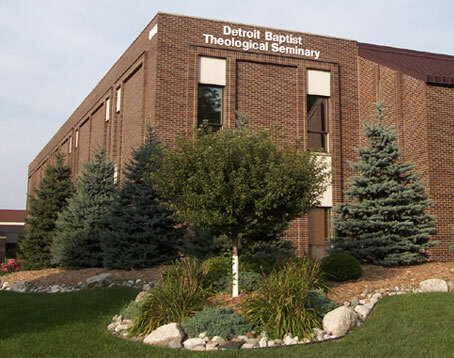 Since I have argued for a positive interpretation in the Detroit Baptist Seminary Journal, this is the view that I developed more fully (to read my article, go here). With the Song of Solomon, our discussion focused on the book’s title, authorship & date, unity, hermeneutical considerations, and purpose. The major emphasis in the class was on the book’s hermeneutical considerations. In the final analysis, I supported a literal two-part view. 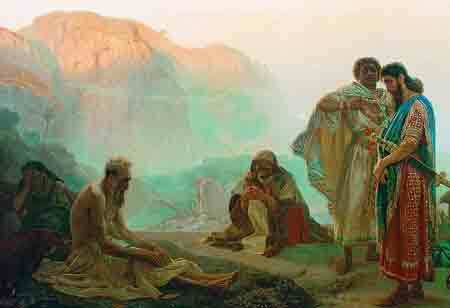 This view maintains that the song reflects only two major participants: Solomon and his Shulammite bride. It also includes a chorus of maidens (see Jack S. Deere, “Songs of Songs,” in The Bible Knowledge Commentary: Old Testament). We finally surveyed the book of Lamentations by covering the following areas: the book’s title, authorship & date, literary features, canonicity, and purpose. I gave attention to the examination of Jeremianic authorship (for a concise treatment of this book, see Charles H. Dyer, “Lamentations,” in The Bible Knowledge Commentary: Old Testament). In an earlier post, I announced that Dr. Terry Mortenson, from Answer in Genesis, was to lecture at DBTS‘s annual William R. Rice Lectures. His lectures have been uploaded to DBTS’s website. Dr. Mortenson gave three messages on “Millions of Years and the Compromise of the Theologians.” He also spoke the following day in chapel: “Ape-men: The Grand Illusion.” To listen to these lectures or download them, click here. In my Old Testament Poetic Books class, we finished Job a few weeks back and began looking at the Psalms last week. This post will summarize both classes. After examining the interchange between Job and his “friends,” including Elihu, none of the friends provide the solution to Job’s dilemma. Only God can provide the resolution. So God responds in Job 38-42. In the final analysis, God demonstrates that this is a theocentric world. He is its sovereign who freely and accurately administers justice. 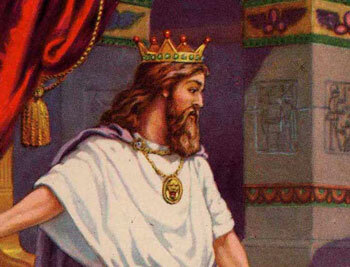 And, his servants must faithfully submit to his sovereign control. Job got the point and I trust that we do, as well. As we began to look at Psalms, we looked at introductory issues such as title, authorship, and the historical development of the book of the Psalter. I developed in class the our book of Psalms is composed of five books that were collected between 1400 to 400 B.C. The fivefold collection breaks down like this. With our next class or two, we will further a fuller understanding and greater appreciation of the Psalms. The above picture is one that was taken of Ferdinand and I during a recent trip (February 19–27) to Mwanza, TZ. When I went to Mwanza in 2007, Ferdinand was one the Bible Institute students that I taught. He is currently the manager of Grace Baptist Missions’ orphanage, Tumaini. It was great to renew my friendship with Ferdinand. The purpose of this blog post is to give a review of my tip to Mwanza. A mission agency of Inter-City Baptist Church, Grace Baptist Missions, has established a ministry in Mwanza, Tanzania (below is a picture of two missionaries responsible for this ministry; they are standing just outside the entrance to the property of the mission’s land). This ministry has been responsible for establishing a number of churches, an orphanage, and a Bible Institute. The goal of my trip was to do a survey of the Old Testament Prophets in the Bible Institute. However, I arrived in Mwanza a couple of days before I began to teach. One of the benefits of arriving early was that I was able to see certificates awarded to the first group of students whom I had the privilege of teaching in 2007. The graduation services were held in two of the local churches. The first graduation service, pictured below, was at the Sweya Church on Saturday, February 19. This next picture is of the graduation exercises at the Nyakaliro Church on Sunday, February 20. Once Monday came, I was ready to teach in Bible Institute. The students at the Bible Institute come from the local assemblies in the Mwanza area. Most of these churches have been started through the work of Grace Baptist Missions. The Bible Institute provides a biblical education that is designed to equip these students for ministry. One of the courses in the Bible Institute’s curriculum is designed to do a survey of the Old Testament Prophets. And, this is where I came in. In advance, I prepared a set of notes on the Old Testament Prophets which were translated into Swahili. My going to Mwanza was designed for me to teach my notes through a Swahili translator. Below one of the missionaries, Dan Eads, is standing just outside the Bible Institute. And, following the picture of Dan is a picture of myself, RJ and the institute students. I taught each day for as much as 7 hours, though I actually taught for less than half the time with the translator doing the bulk of the work. The next two pictures are of the students during class. An important part of having an interactive experience is to have a great translator. RJ is a great translator and is very interactive with the class. When you look at the second picture, don’t fail to notice that in the back of the classroom is Dan Eads with his mac laptop. Since I have used a Macintosh computer since 1986, I felt like I was at home. The next picture is of Leonard. When I saw Leonard, my heart was filled with praise for God’s saving work in an individual’s life. Prior to my trip to Mwanza in 2007, Leonard had been converted from a wicked life. In 2007, he audited two of my classes but could not take the classes for credit because he did not know how to read. 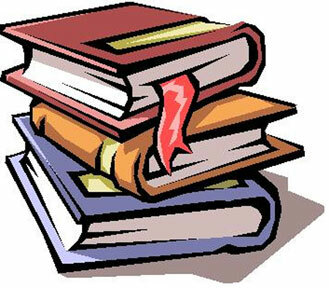 Subsequent to that class, he learned how to read so that he is now able to take classes for credit. Because of God’s sovereign work of grace, my trip to Mwanza was encouraging. I was overwhelmed with how God is working to regenerate and sanctify his elect people living in Mwanza and the surrounding areas. This trip was great at reminding me how vast God’s work is in saving a people for himself from around the world. In concluding this post, I include two pictures of the missionary families living in Mwanza. After looking at some introductory issues, such as title, authorship and dating, location, literary composition, I developed the message of Job. Many interpreters have understood that the message of the book of Job is primarily dealing with the subject of the righteous suffering. However, this approach is myopic for the suffering Job is never told either who was immediately responsible for his suffering or the reason for his suffering. In dealing with the book’s message, it would be more precise to view Job’s suffering as a catalyst to explore the central concern of the book, viz., God’s administration of justice. To read more fully on my understanding of the message of Job, you can read five posts that I did on this subject. Click here, here, here, here, and here. When classes resume after our winter recess, I will finish Job’s message and then begin covering Psalms. With our second and third class sessions on Old Testament Poetic Books, we covered our introduction to this material on pp. 14–31 of our syllabus. With this presentation, we looked at five introductory issues for this class: (1) characteristics of the Poetic Books, (2) general information about the Poetic Books, (3) Wisdom in the Old Testament, (4) the Poetic Books & Wisdom, and (5) theology in the Poetic Books. I will briefly expand on the last two subjects. In examining the Poetic Books & Wisdom, we looked at the books covered in our class as they relate to poetry and wisdom literature (Job, Psalms, Proverbs, Ecclesiastes, Song of Solomon and Lamentations). Only three of the books treated in this class as well as a few psalms can be classified as wisdom: Job, Proverbs, Ecclesiastes and a few psalms (1, 15, 36, 37, 49, 73, 112, 119, 127, 128, 133). The wisdom literature is only a portion of the material that we cover in OT Poetic Books. The rest of the material we cover is the majority of the Psalms that are not wisdom, Song of Solomon, and Lamentations. As far as the wisdom material goes, there are two broad categories of wisdom: contemplative and practical. Contemplative wisdom focuses on the seeming inequities of life, like Job, and the solution to the enigmas of life, like Ecclesiastes. Practical wisdom, as in Proverbs and a few psalms, is down-to-earth, how to succeed living under the terms of the Mosaic Covenant. In dealing with theology in the Poetic Books, we initially looked at a brief introduction to biblical theology. This was followed by looking at what the Poetic Books present about God and man. In examining God, we looked at God’s attributes (such as infinity, wisdom, freedom, incomprehensibility, holiness), his relationship to the universe (such as his plan for the universe, creation, preservation, and providence), his sovereign control of the universe. To mention one of God’s attributes, Job and Ecclesiastes strongly affirm his freedom. This attribute means that God’s will is not bound by anything outside of Himself. God is only limited by His nature and will. The poetic books presents man as being finite and sinful. They also deal with man’s death and immortality. Finally, they stress a number of man’s responsibilities. We noted three of man’s duties: his obligation to fear God, to be diligent in his work, and to judiciously enjoy life.